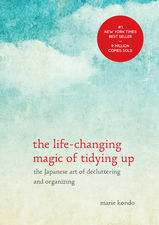 This week, we're reviewing the #1 New York Times Bestseller The Life-Changing Magic of Tidying Up: The Japanese Art of Decluttering and Organizing by Marie Kondo! We had SO much fun reviewing book, and were surprised to find that a book about decluttering could spark so many deeper conversations about life and values. If you'd like to read the book along with us, you can buy it here. If you want to know more about Marie Kondo, her website can be found here. And you can contact us! We'd love to hear from you.